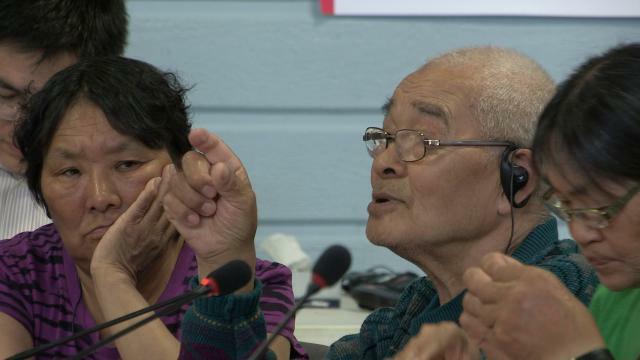 ᓂᐲᑦ ᐃᓄᒃᑎᑐᑦ Okalik Ejitsiak, NIRB Community Roundtable, July 20, 2012, Iqaluit, 6:33 Inuktitut, response by QIA President to Gamaillie Qiluqisaq's comment about royalties to Inuit organizations but not to communities. ᓂᐲᑦ ᐃᓄᒃᑎᑐᑦ Mary Wellman, NIRB Community Roundtable, July 20 2012, Iqaluit, 7:44 Inuktitut, makes a presentation about Socio-Economic concerns. 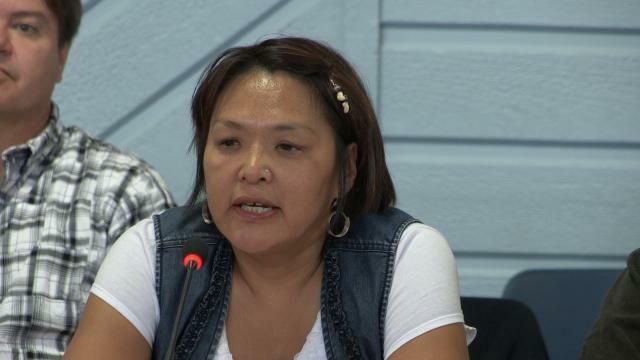 Mary Wellman, NIRB Community Roundtable, July 20 2012, Iqaluit, 7:44 English version, makes a presentation about Socio-Economic concerns. 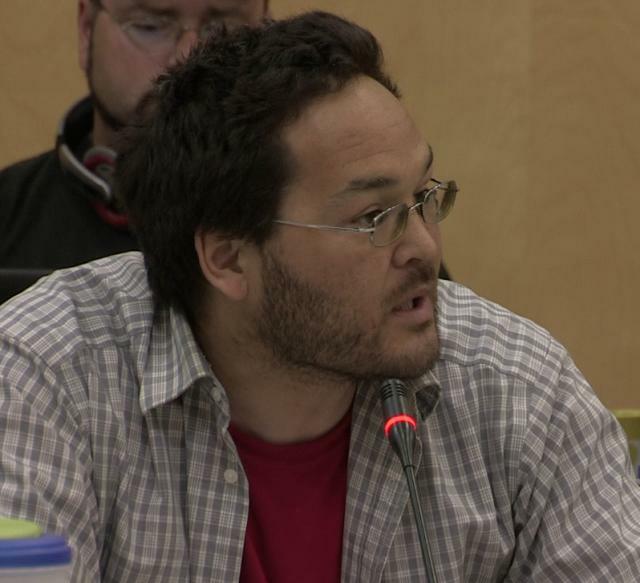 ᓂᐲᑦ ᐃᓄᒃᑎᑐᑦ Adamie Alaku, NIRB Final Public Hearings, July 19, 2012, Iqaluit, 4:48 Inuktitut, presentation by Makkivik Corporation of Nunavik (northern Quebec). 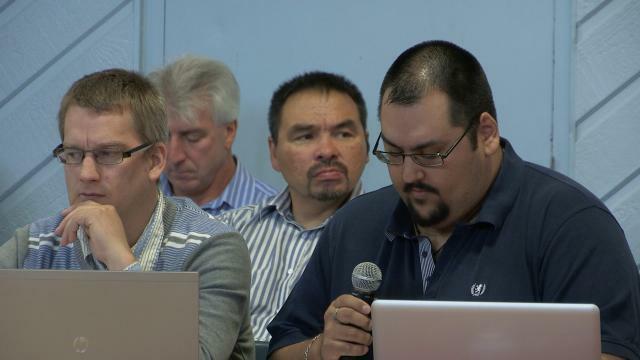 Adamie Alaku, NIRB Final Public Hearings, July 19, 2012, Iqaluit, 4:48 English version Part 1 of 2, presentation by Makkivik Corporation of Nunavik (northern Quebec). 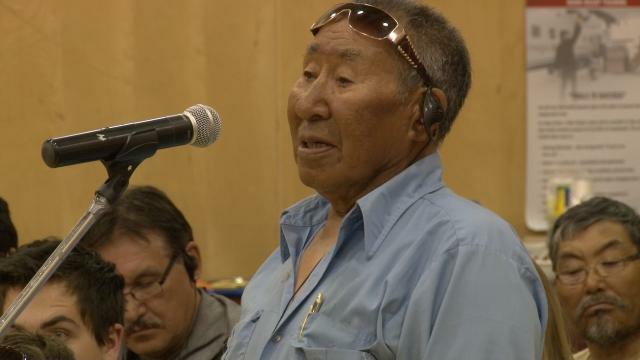 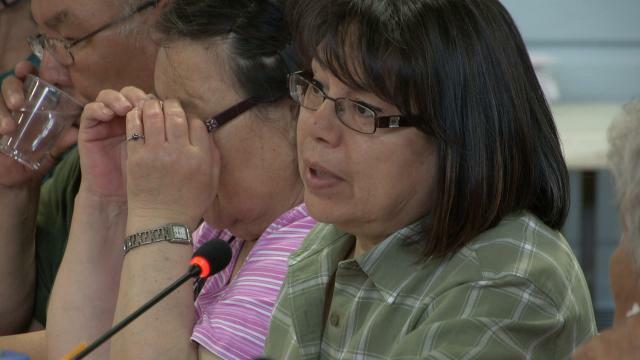 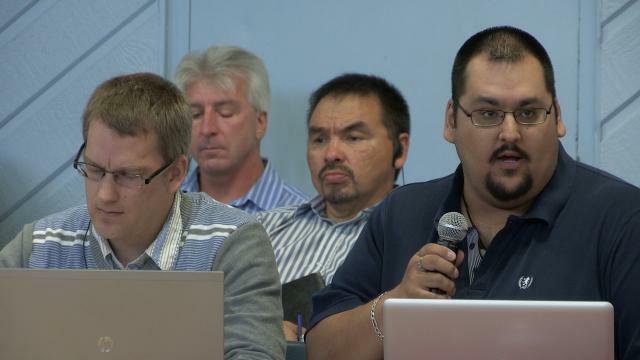 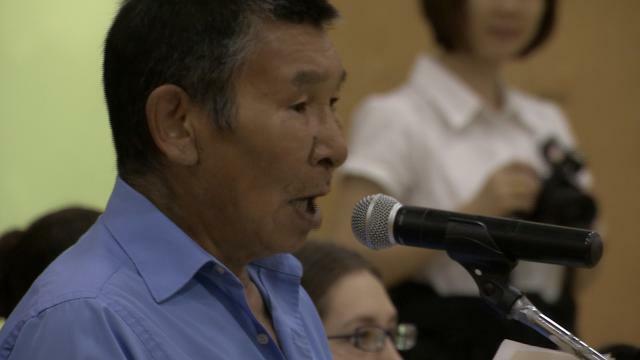 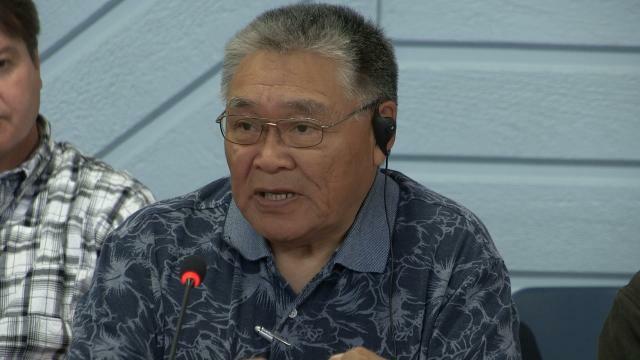 Curtis Taqqaugaq, NIRB Community Roundtable, July 25, 2012, Igloolik, 6:04 original English. 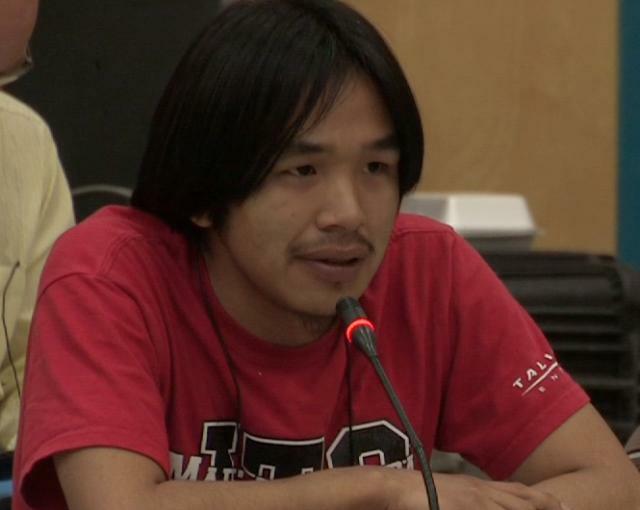 Curtis is Igloolik Youth Representative and presents his comments on the Baffinland Mary River Development from the youth point of view. 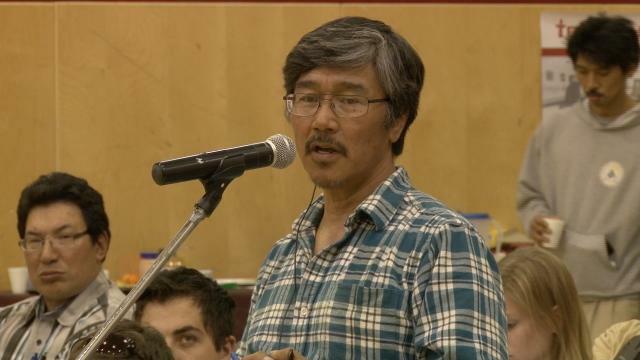 Okalik Ejitsiak, NIRB Community Roundtable, July 20 2012, 6:33 Inuktitut, response by QIA President to Gamaillie Qiluqisaq's comment about royalties to Inuit organizations but not to communities.